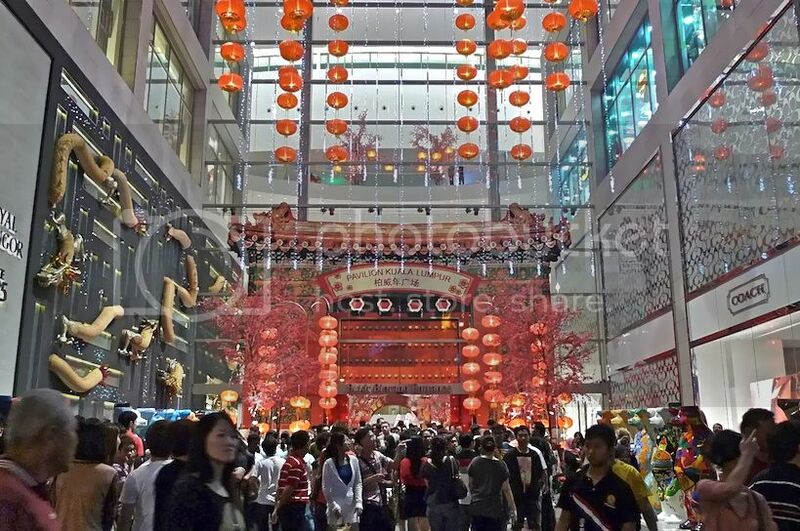 During the Chinese New Year, I went to Pavilion KL and was stunned to see this! What was this long slithering thing hovering above everyone? It was really long, majestic and simply HUGE! No prize for guessing but yes, it's a dragon! Unless you are living outside Malaysia, you would most likely already knew about this majestic dragon. 2012 is the year of the Water Dragon. 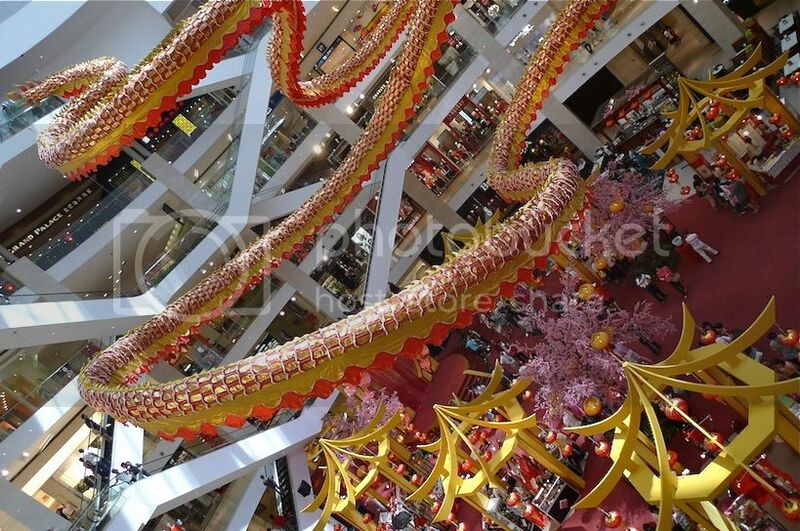 And so the theme for Chinese New Year decorations in most shopping malls this year was dragon! 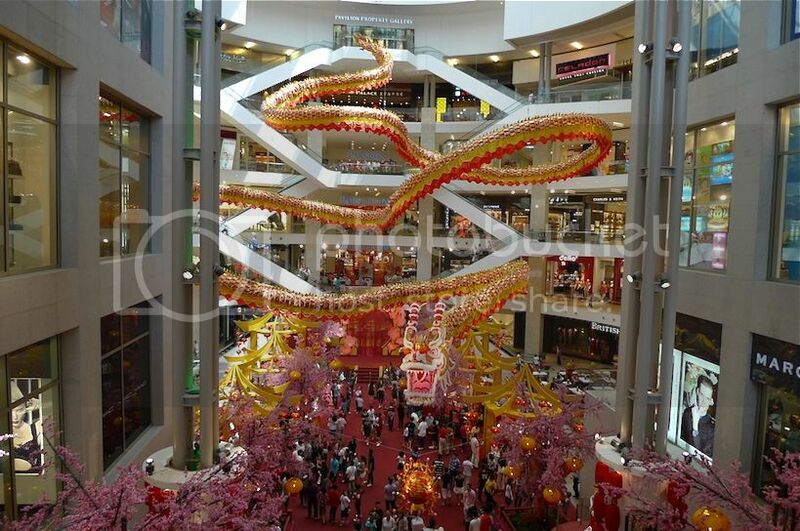 I must say among all the shopping malls, Pavilion has the most awesome dragon ever! 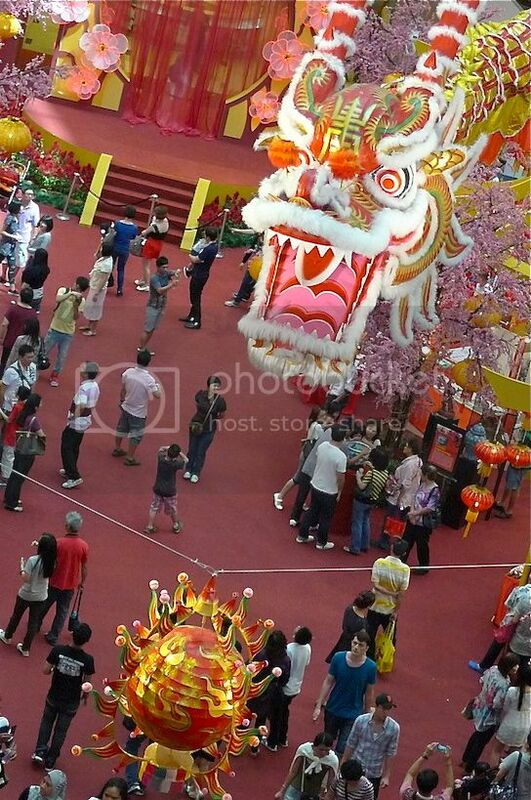 Unlike Western dragons which are mostly depicted as villainous and evil, Chinese dragons are revered and respected. 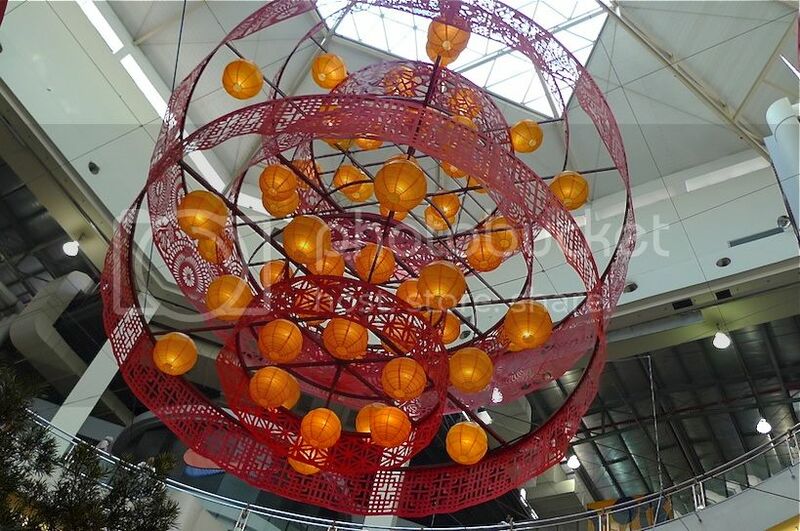 The Chinese considers the dragon as a sign of strength and authority. 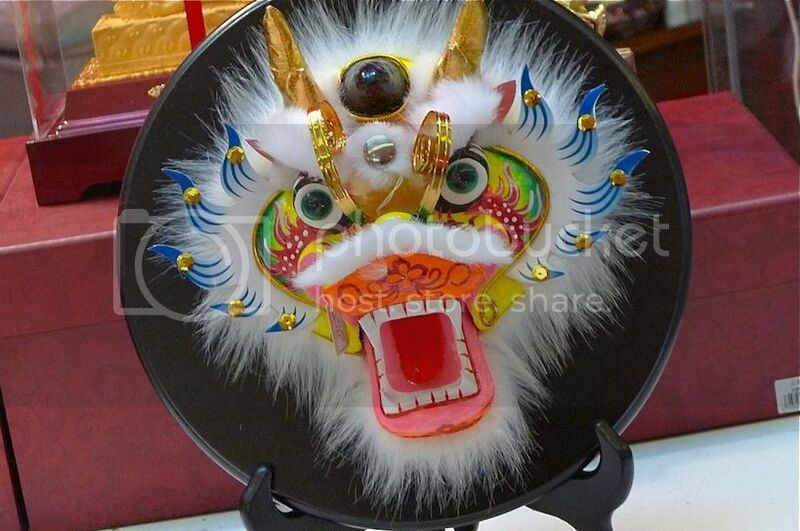 The Chinese dragon also likes to chase after the flaming pearl, although I am not really sure why. Anyone in the know please enlighten me. Thanks! 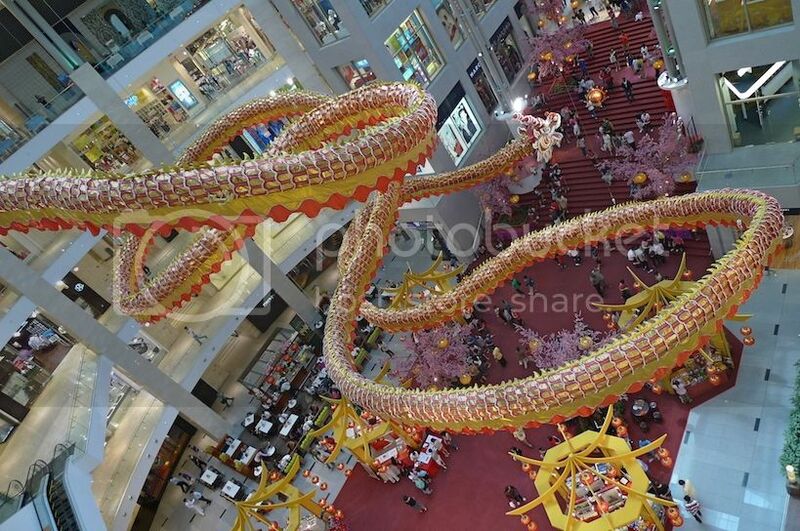 I like this photo below as it looks as if the dragon is really flying around inside the Pavilion Shopping Mall! For those who don't fancy the dragon, at least there are still the United Buddy Bears outside the Mall for your entertainment. 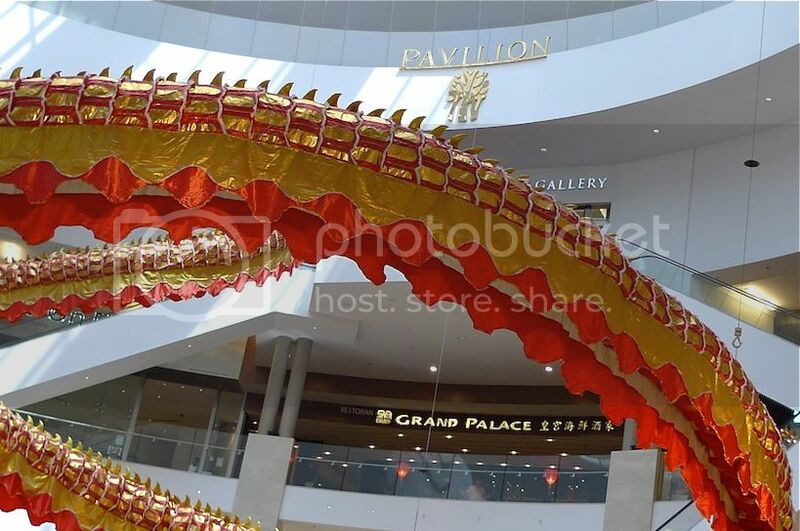 If you have not visited Pavilion recently, it may be worthwhile to make a visit as you can get to see both the awesome dragon and the United Buddy Bears! 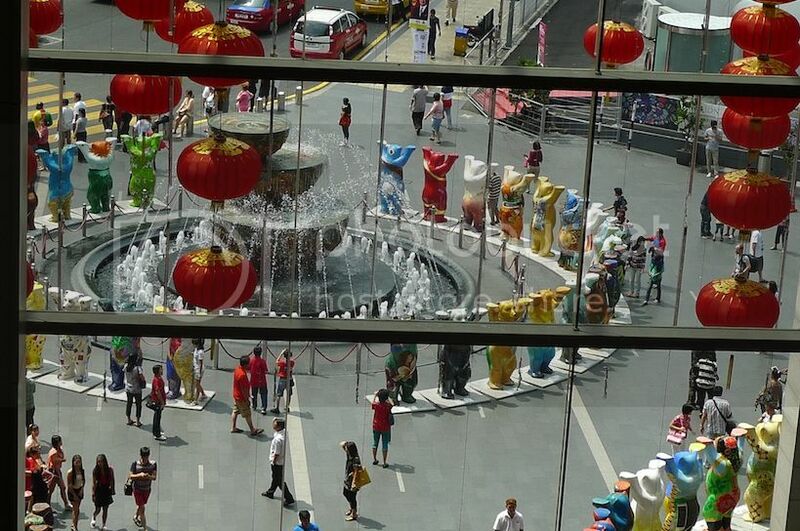 I also saw another interesting attraction outside the Royal Selangor flagship store in Pavilion. 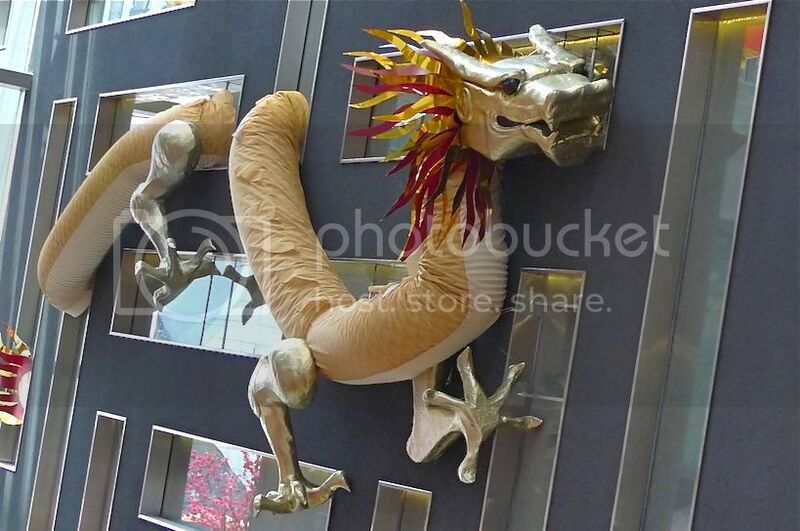 On its wall were 9 golden dragons! This is one of them. 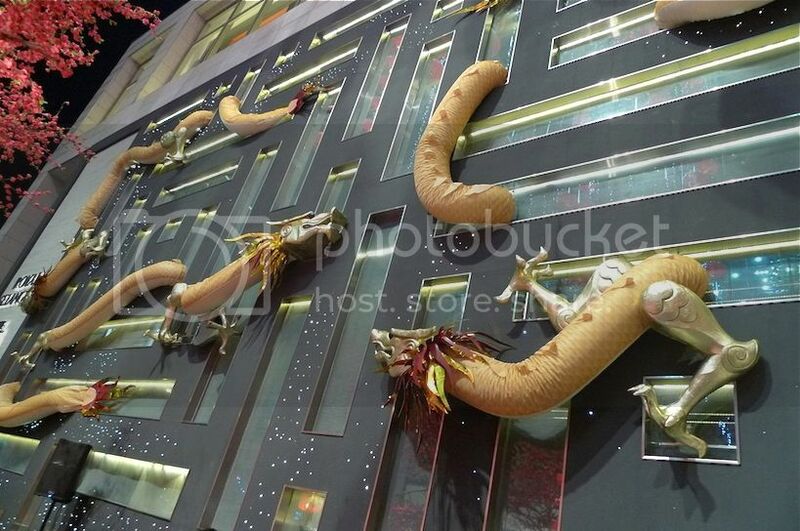 The dragons seemed to be roaming in and out of the store through the wall. 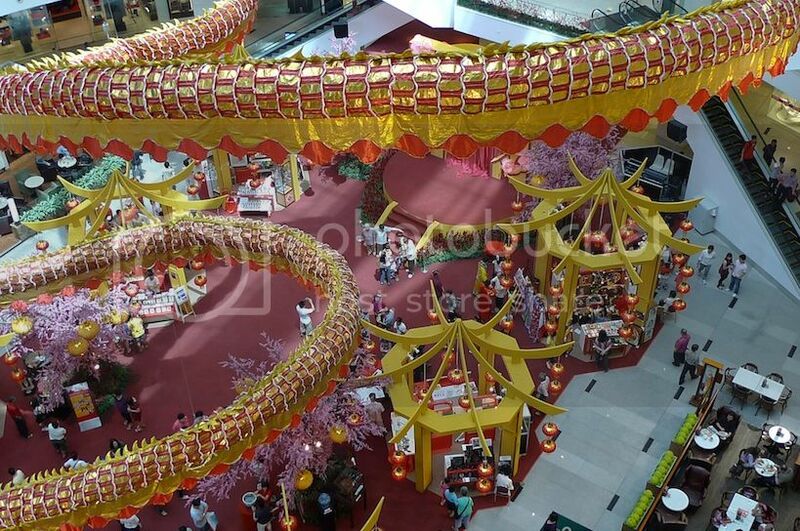 Royal Selangor is currently organizing a contest to guess the combined length of the 9 dragons. Check it out HERE. But hurry! The contest ends on 6th February 2012. 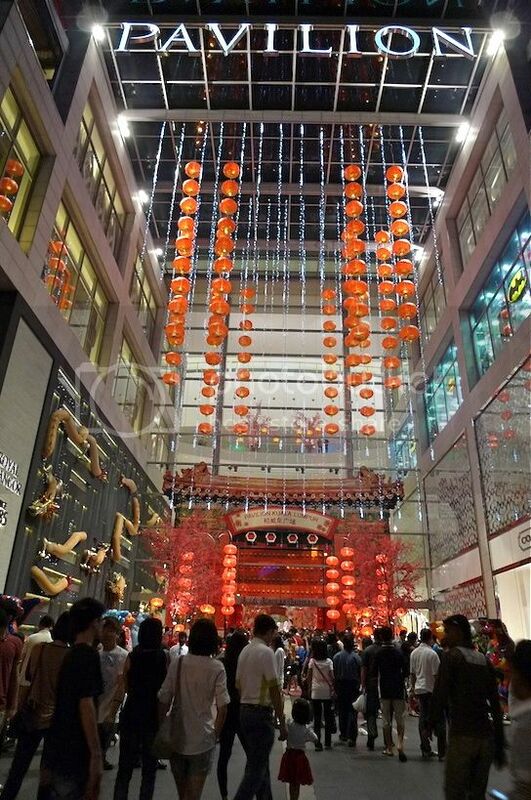 The main entrance into Pavilion was beautiful with red lanterns and trees. The reddish decorations sure made me feel auspicious! 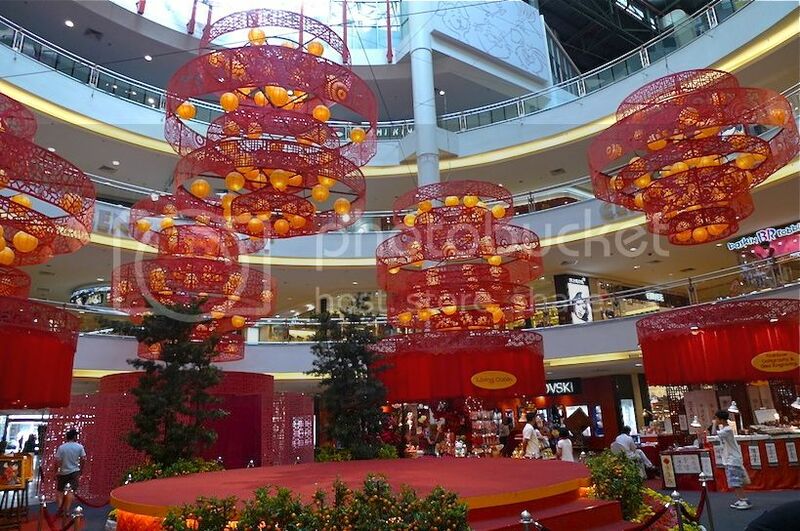 I thought Pavilion did well this year on their Chinese New Year decorations! 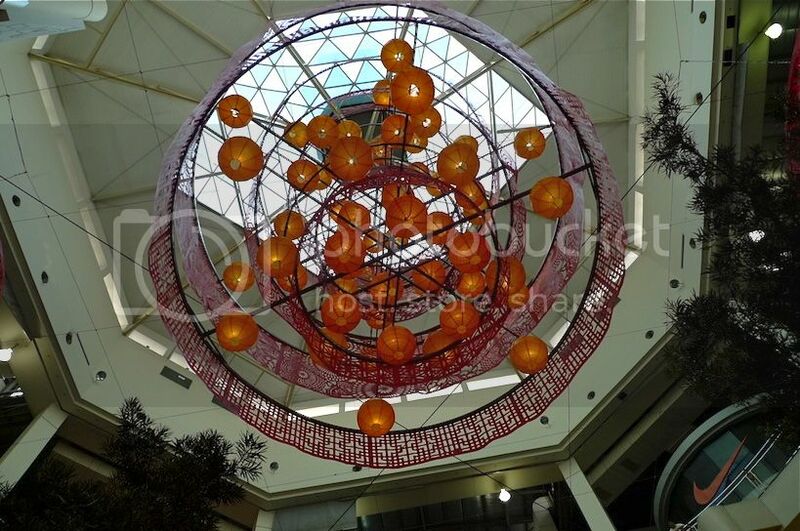 I did not have the time to visit many shopping malls, but among those that I visited, I was really disappointed with 1Utama and Curve. So disappointed that I did not even bother to take any photos! Oh well, I hope they would come out with something better next year! 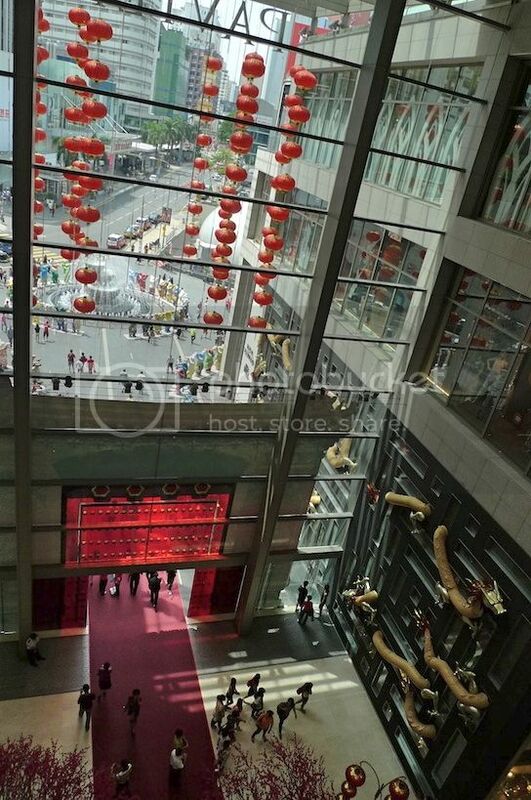 The Chinese New Year decoration in MidValley Megamall is usually pretty good every year. This year however, I was not that impressed. Perhaps there was no dragon? Haha! 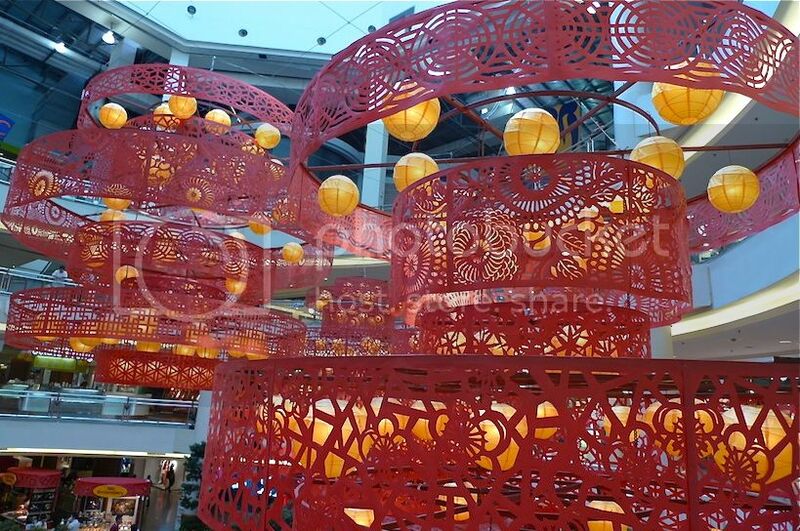 Brightly-lighted, paper-cut lanterns were hung all over the mall. I thought they looked a bit 'wooden' to me. Of course, the intricate cut patterns on the red paper were something to be admired, but overall, the lanterns did not make me go "Wow!" Or maybe I was just missing the dragon. This is the Year of the Dragon - where is the Dragon?! 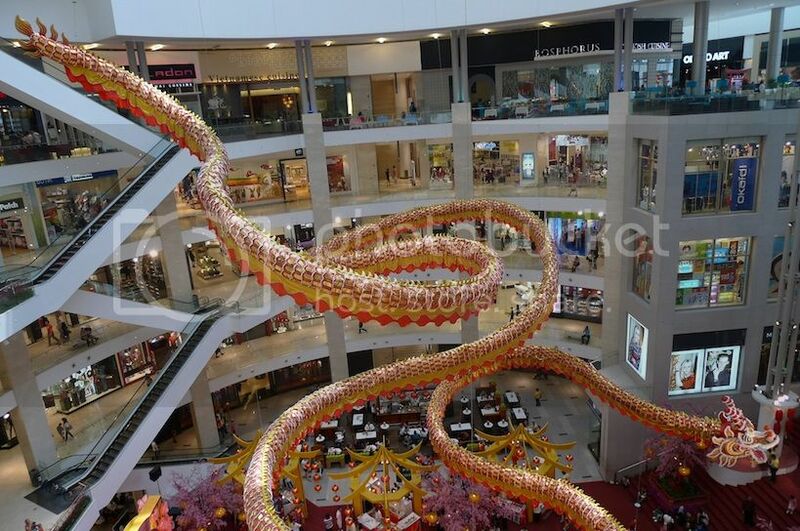 Oh well, perhaps MidValley wanted to do something different, since every other mall was doing the dragon theme. 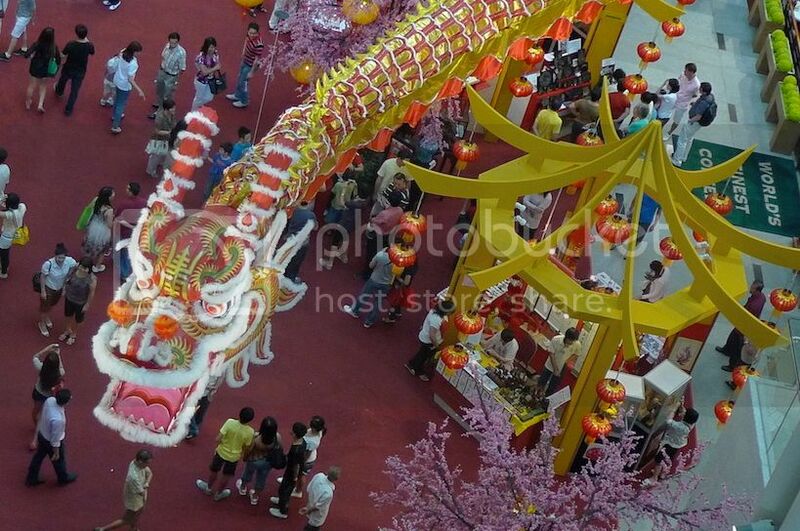 Luckily, I actually caught sight of a dragon at one of the stalls there. Isn't this one fierce looking dragon?